At the core, I want to help. I’m a people person, an extrovert, and a helper. I’m a hyper-creative guy who loves to listen, understand, and see if I can make someone else’s life better. How does that relate to technology? I believe that the transformation of the old ways of doing business is necessary, because what I hear people saying is that they want connection, they want relevance, and they want to be empowered. For me, a little creativity in the use of technologies to meet diverse demographic needs can go a long way. Whether that’s a customer—or an employee—both should be treated with the same care and concern for their experience in the digital world in which they are engaged. How does that relate to business? People are a business’ greatest asset. Engaged, challenged and productive team members take ownership of concepts and ideas, and from that leadership skills are developed. From my own servant-leader perspective, my job is to build a high-performing team which grows other valuable team members into leaders as well. These leaders will care about revenue, they’ll care about impact, and they’ll care about others. Download the PDF version of my curriculum vitae to see what I’ve really been up to these past few years. Check out my ever-present linkedin.com profile page. It’s not super-snazzy, but it does the job. I’m a family guy with three amazing kids. I love cars and bicycles, and going for long drives or rides on lonely, twisty mountain roads. But when not working in digital consumer and enterprise products, oil painting is my hobby of choice. My paintings have been shown in various locations around the Seattle area. 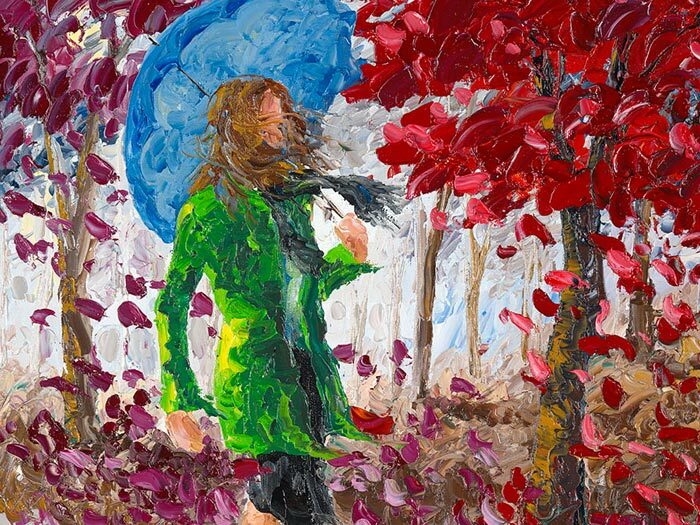 I use an impasto palette knife technique, in an impressionist style. If you have a few moments, come take a look.